Button mushrooms hold abundant nutrition and delicious flavor. 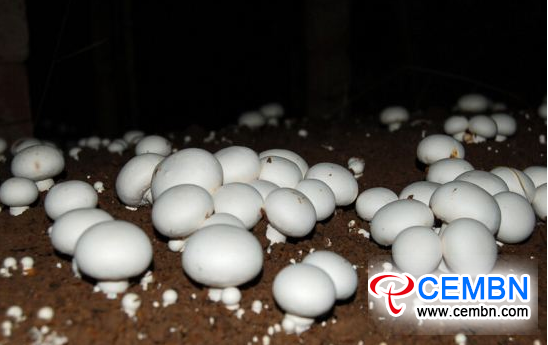 They are a kind of high-end mushroom variety that highlights various health-care functions. However, the variety carries high water content, short preservation time and it is easy to become rotted, hence it is of crucial importance for growers to master its preservation skills. Timely picking: When finding that caps are about to open up and fungus membrances are not broken yet, growers could launch the picking work of Button mushroom, after the picking, classify them in shade shed and pick mushrooms which are unsuited for storage, invaded by pests, and sick mushrooms out. Low-temperature preservation facilitates retaining the freshness and superior quality of mushrooms. After the picking, growers could store them in environment where holds 0-3 degrees Celsius of temperature range. Last but not the least, during the preservation period, be sure to maintain stable temperature and humidity.